When transferring fund from your bank account to your Zing Money account, it can take 1-2 business days for the funds to appear. 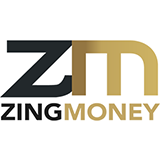 Transfers requested before 9:45 AM PT will be credited to your Zing Money account in 1 business day. Note: You can transfer up to $3,000.00 over a rolling 5-business day period. The standard account limits also apply. Please see the Accountholder Agreement for more details. Tap Wallet and log in, if prompted. Tap Add money from bank.